Robert "Bob" Earle Beasley was born in Salisbury, NC on July 8,1933 and passed away peacefully on Saturday, December 30, 2017. Bob enjoyed a wonderful life. He was blessed to marry his childhood girlfriend, Mary Louise Krider Ervin, also from Salisbury. They first met in the third grade at A. T. Allen Elementary School. Our prayers are that the two of them are again united to enjoy one another's company. Bob graduated from Boyden High School in Salisbury where he was on the football and track teams. He graduated from North Carolina State University in Raleigh with honors in 1959. While earning his Bachelor of Science in Mechanical Engineering, Bob was active in Student Government, the Judicial Board, the Honor Code Board, PI TAU SIGMA, and TAU BETA PI. These years at N.C. State began a lifelong passion and legacy with the Wolfpack for Bob as well as his family. He was equally involved and supportive of both the academic and athletic initiatives benefiting the university. Bob served as President of the N.C. State Friends of the Library Board and was on the N.C. State Alumni Association Board of Directors. Mary and Bob were proud Life Members of the N.C. State Alumni Association and for decades attended many football and basketball games with friends and family. Bob and Mary were members of North Ridge Country Club where they enjoyed golfing with good friends and their grandsons. After graduating from college, Bob began his career with Union Carbide in South Charleston, WV. He then went on to work for Southern Bell in Charlotte and Raleigh, NC. 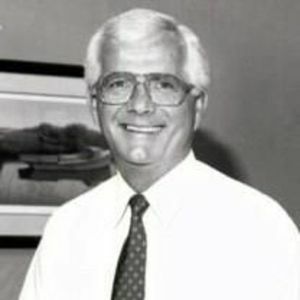 In July of 1966, Bob became the first Raleigh employee at Mallinckrodt, Inc. Bob quickly moved up the ranks and retired as Director of Administration in 1997. His work ethic and friendly personality made Bob a very integral part of Mallinckrodt as was attested at the tremendous retirement party given by his co-workers. Bob's Mallinckrodt family always held a special place in his heart. During his entire career, Bob was actively involved with many community organizations including the Salisbury Jaycees, Raleigh Chamber of Commerce Board of Directors, Wake Forest Chamber of Commerce, American Society for Personnel Administration, Raleigh-Wake Personnel Association and Junior Chamber of Commerce. Bob was preceded in death by his loving wife, Mary, and their beloved son, Rob. Other family members preceding Bob in death were his parents, Robert C. and Edna J. Beasley, his brothers-in-law Henry Bernhardt and William "Bill" Ervin. He was the loving and supportive brother of Jo Ann Bernhardt who still resides in Salisbury. He is survived also by his sister-in-law and her husband, Betty and Jack Graham, long time golfing buddies. Surviving PaPa is his adoring family; daughter, Jodi Riddle of Harrisonburg, VA, her husband Warren, and grandson Wesley; daughter, Cindy Toomey of Greensboro, NC, her husband Kevin, and grandsons Zach and Aaron; daughter-in-law and widow of his late son Rob, Donna Beasley of Cary, NC, and granddaughters Amber and Courtney. Bob had a great affection for his many nieces and nephews. The family wishes to thank Dr. Jim Parsons for his friendship and devoted care along with Dr. Parson's wonderful staff. Many thanks to the attentive staff of Mayview Convalescent Center and Transitions LifeCare for their constant care and support. Memorials may be made in honor of Bob to the North Carolina State University Friends of the Library Robert E. Beasley, Jr. Memorial Endowment - NCSU Library Development Office, Campus Box 7111, Raleigh, NC 27695. A memorial service and celebration of Bob's life will be held at a later date. Arrangements by Brown-Wynne, St. Mary's Street, Raleigh.